Game Wardens are on call for national disasters such as the hurricane nearing Corpus Christi this week. In addition to the patrol boats they also have air boats which are very useful for water rescues during hurricanes and floods in East Texas. They sometimes use their patrol boats on the Rio Grand to control illegal entry. Warden Powell is occasionally assigned to these patrols for a week at a time. He related a story of a four year old boy traveling alone and another of a couple from China. They have to pay large sums to the drug cartels for passage to the river. One recent technological improvement that has made their job much easier is the widespread use of social media. Poachers and others breaking the law can not resist posting pictures of themselves with their victims. A number of convictions have resulted from these postings. Game cameras that many landowners use to control their property also find many poachers and trespassers. Warden Powell was featured on an episode of Animal Planet’s Lone Star Law collaring an alligator poacher. It showed very well how these officers work. Several more episodes are being planned. For questions or to offer information Warden Powell may be reached on his phone at 469-383-9444. 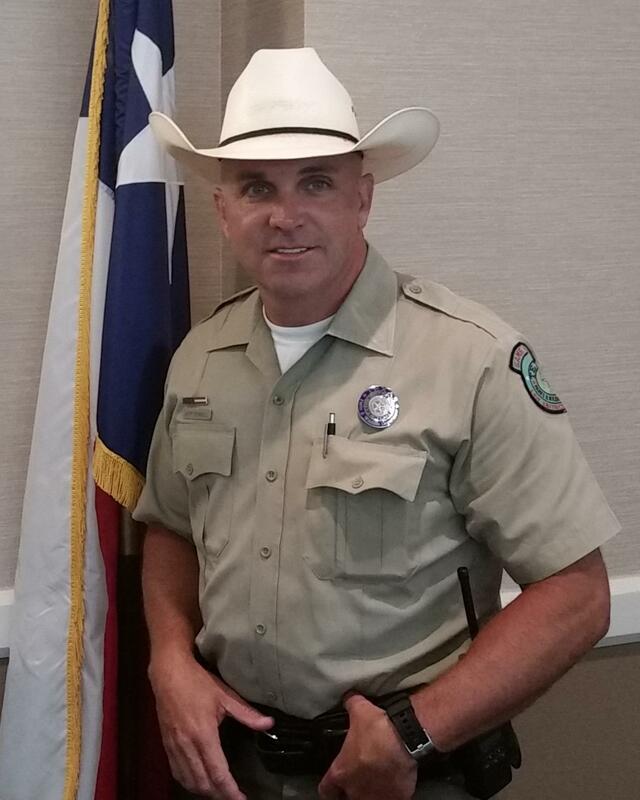 The Parks & Wildlife Law Enforcement web page is https://tpwd.texas.gov/warden/ .